This Macsween haggis serves 4-5 people as a main course. Made from the traditional Macsween recipe, it is simply lamb, beef, oats, onions and spices. It is a great source of iron, fibre, and carbohydrate with no artificial colours, flavourings or preservatives. 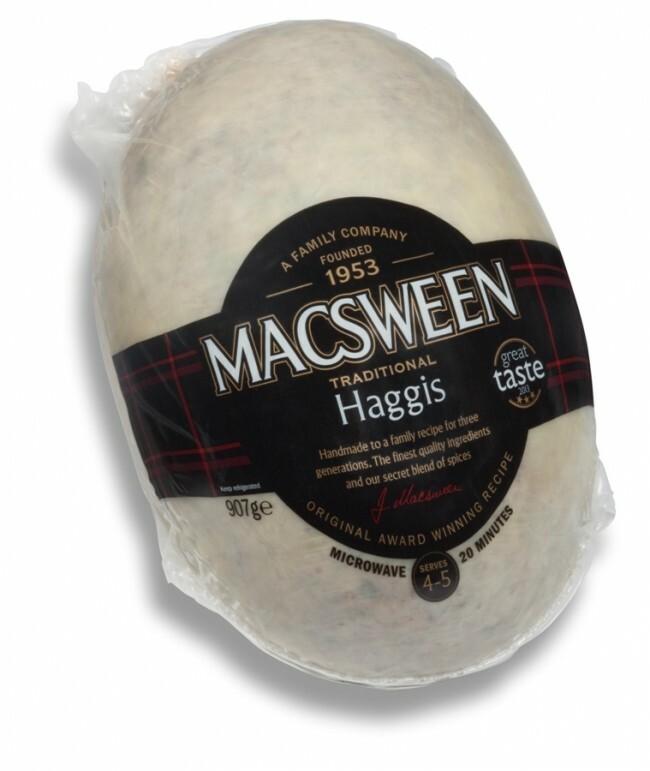 To maintain freshness, your Macsween haggis will be sent via UK Express delivery in thermal packaging with ice. This catering pack will serve 4-5 people as a main course. A simple step by step guide about how to cook haggis is available here. Let Macsween inspire you with their traditional and modern haggis recipe ideas.